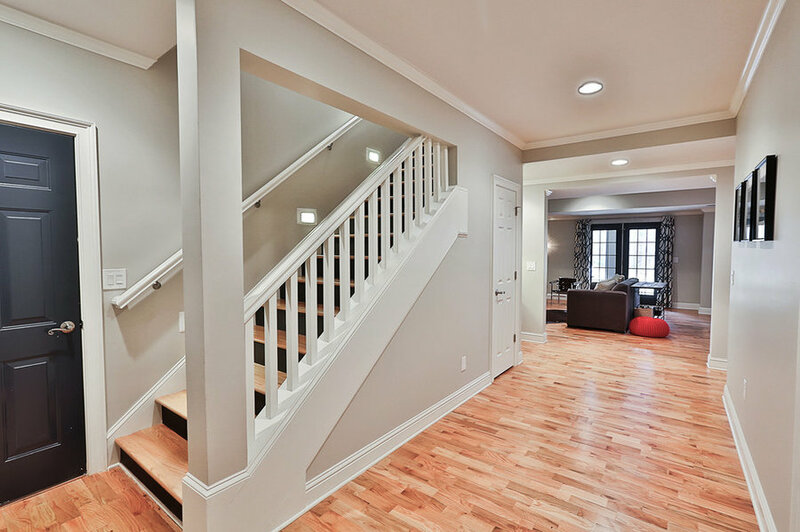 This home has a tuck under garage and low ceilings in the basement level. 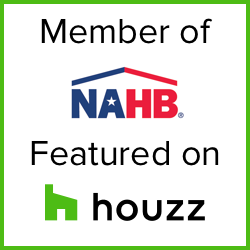 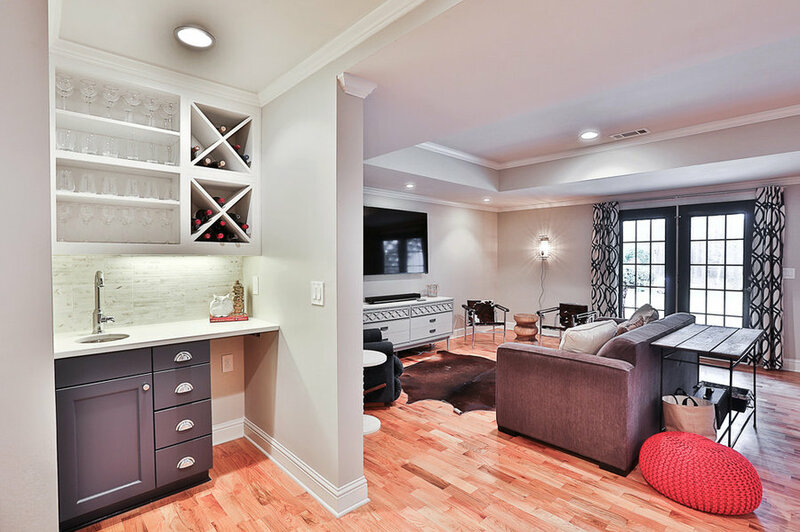 Greg Love Homes worked with this client to make the most of a limited space. 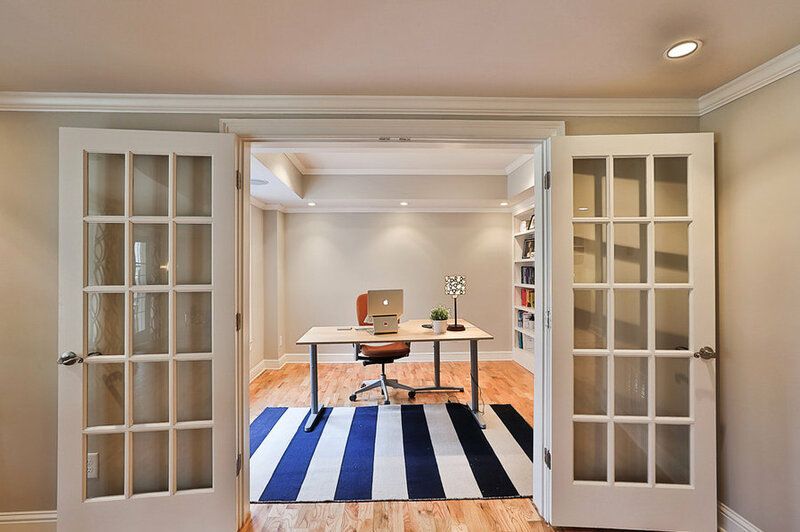 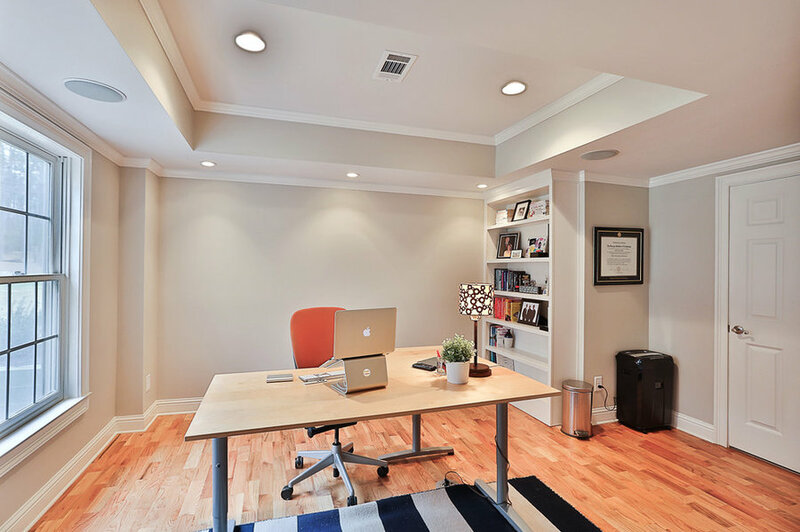 Tray ceilings were designed to conceal a complicated web of ductwork. 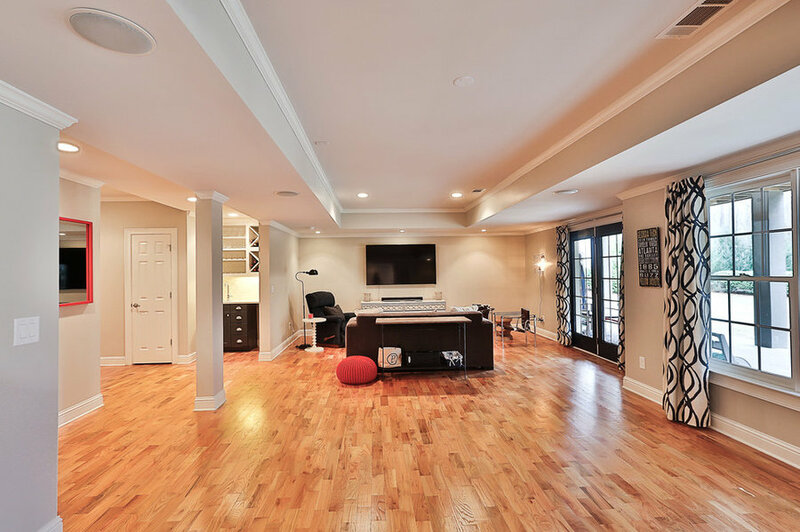 The floors are a sand in place hardwood to match the flooring on the main level of the home. 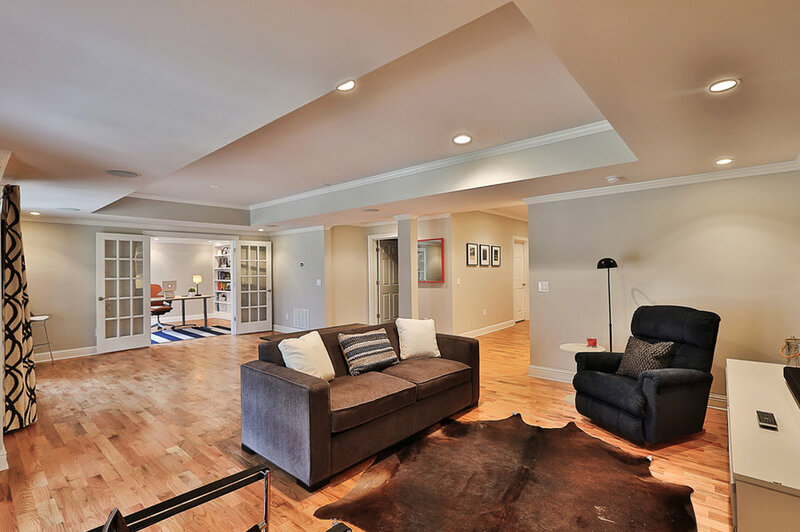 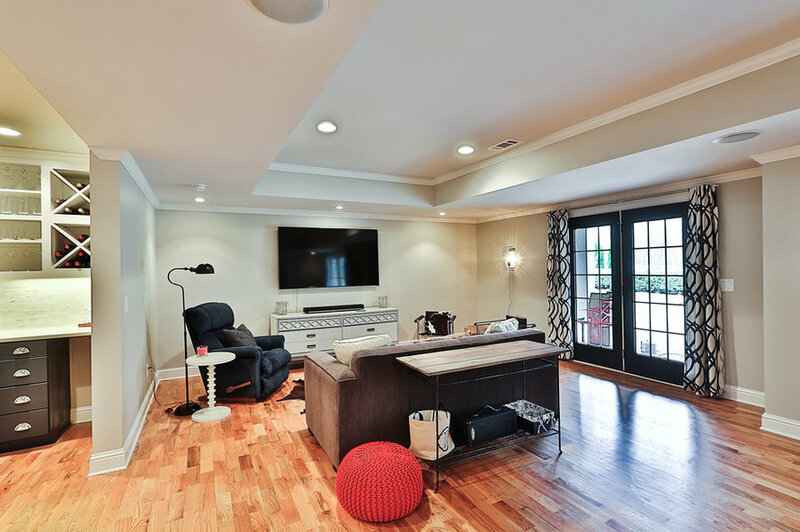 This basement family room is light and bright. 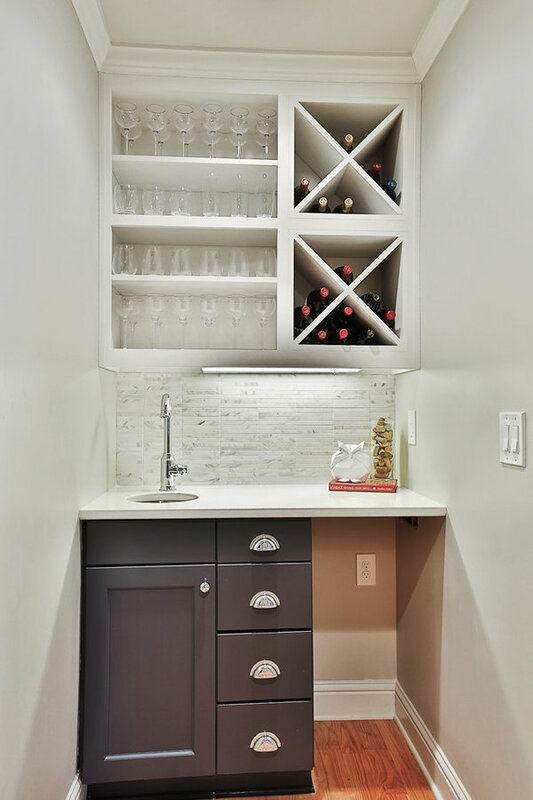 This compact wine bar makes a great place to store a small wine collection and facilitate entertaining in this basement space. 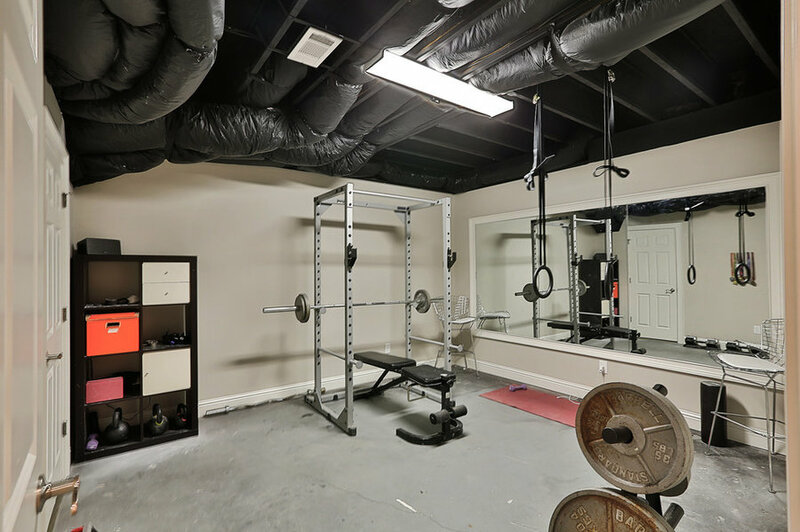 This small home gym was created for weight lifting. 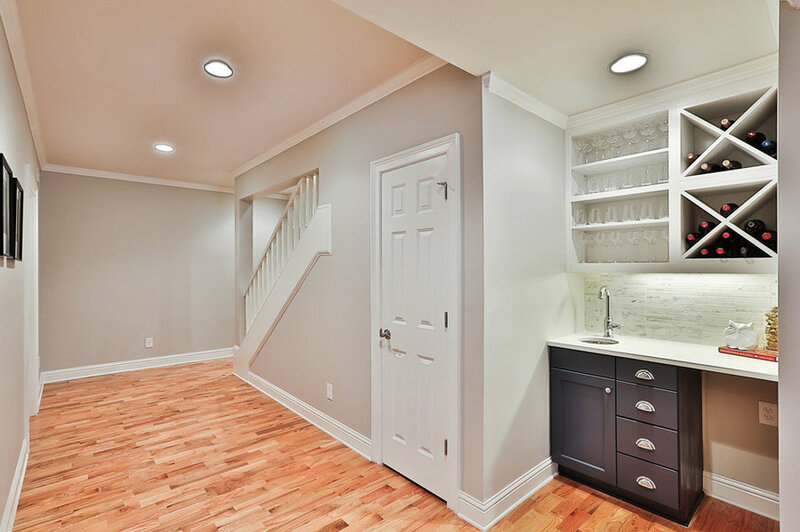 This small bathroom includes a custom built cabinet with a Cesarstone counter. 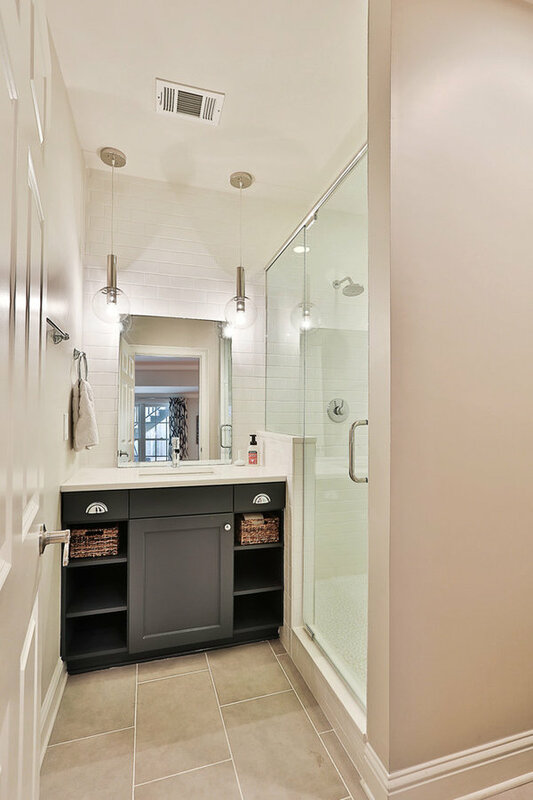 The subway tile of the shower extends behind the vanity to add texture.